August 21, 2013: a chemical weapons attack on the suburbs of Damascus reminds the world of the existence of the Syrian war. Hundreds of journalists from every corner of the world rush to the frontier only to leave disappointed when Obama decides not to bomb. They leave behind 200,000 estimated victims, and more than half of a population of 22 million people dispersed or refugeed in nearby countries: the worst humanitarian crisis since WWII according to the UN. Francesca Borri is one of them. But she does not leave. She is thirty years old. For months she covers the battle of Aleppo as a freelance reporter. And she quickly realizes that to report a war is to hide with dozens of women and children, even a baby, born there, in a grave, 'a piece of soil under the ground that is as expensive as three houses' or to scavenge for anything to burn for some warmth, 'a broken slipper, the plastic hand of a toy' or to mistake bloody figments of skull for rubble. To report a war is also to meet with officials more worried about the stain of snow on their Clarks than the people they are supposed to help. It is to explain what is happening in Aleppo to journalists who have only been there once, on vacation, and bought a carpet. It is risking one's life because of the jealousy of a fellow reporter. And it is also about dreaming of driving at night with the windows open, about remembering impossible little things, the particular light on that day in that café at the beach when you were a kid, the eyes of people you love, all the minuscule simple joys that can be lost in a moment. Syrian Dust is a raw and powerful account of the Syrian war that throws the reader right in the middle of it, without any shelter. Back in June, after we announced a special offer for Pride Month, Eileen Dengler, executive director of the North Atlantic Independent Booksellers Association (NAIBA) reached out to me asking if we could find a way to include booksellers directly in these kinds of initiatives. I was intrigued, and excited. I reached out to our sales team at Penguin Random House, and right away they were excited too. The result, beginning today, is what we hope will be a monthly partnership in which Seven Stories creates special themed collections and PRH offers these titles to booksellers at a special 51% discount for the entire month. Within that span, Seven Stories will also feature these collections for one week at a time online, hopefully building awareness of these titles—beginning today with “Women in Translation” since it is Women in Translation month, and the other, beginning August 15, “For Human Rights, Against War,” featuring a number of our most widely read political titles. We’ll discount these titles online, but only in such a way that booksellers can experiment with matching our discount if they so wish, thanks to the additional trade discount they receive. We don’t know if this is exactly the right model. What we know is that a lot about it feels right, and we’ll keep experimenting until we find the model that is right for booksellers and publishers alike. If we can do that, then others will follow us. If you have a local independent bookstore, shop there before you shop on our site, and remember that we provide a free e-book of every book that you buy from us online. If you buy one of the books from the collection at an independent bookstore, email a picture of your receipt to sevenstories@sevenstories.com to get a free e-book and updates from Seven Stories. Here are the seven award-winning titles from our Women in Translation series, all at 35% off through August 8th. Free shipping within the U.S.! Applauded as the finest work of fiction to appear about the Yugoslav Wars, acclaimed poet and novelist Ivana Bodrožić’s The Hotel Tito is at its heart a story of a young girl’s coming of age, a reminder that even during times of war—especially during such times—the future rests with those who are the innocent victims and peaceful survivors. In these short stories, Djebar presents a brutal yet delicate exposition of how warring worlds enact their battles upon women’s lives and bodies. The lurid and compelling story of the sexual awakening of a girl long fascinated by the thin line separating decency and morality from perversion, but whose increasingly dangerous sexual forays threaten to engulf her completely. 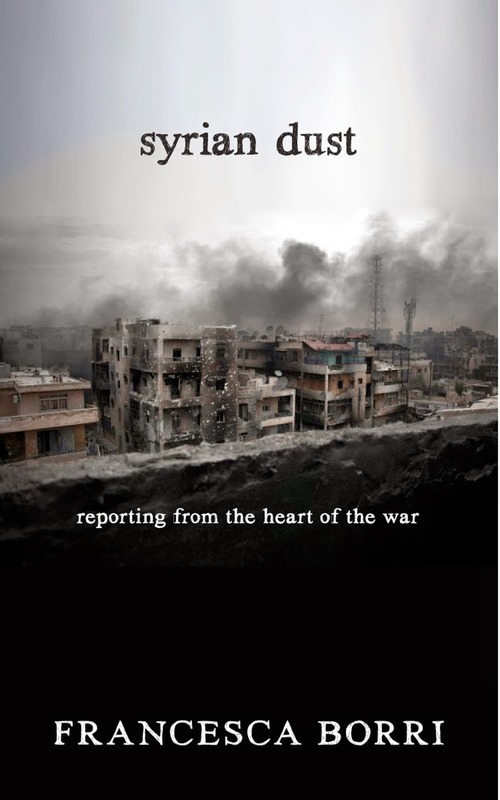 In moving, powerful prose, Syrian Dust is a record of a freelance war reporter confronting the many-factioned conflict being fought against Bashar al Assad. The Years is a personal narrative of the period 1941 to 2006 told through the lens of memory, impressions of past and present—even projections into the future—photos, books, songs, radio, television and decades of advertising, headlines, contrasted with intimate conflicts and writing notes from six decades. Five dark and delicately written stories by international award-winner Guadalupe Nettel unfold in fragile worlds, where Siamese fighting fish, cockroaches, a cat, a snake, and a strange fungus are mirrors that reflect the unconfessable aspects of human nature we keep hidden. Adored by young girls in the west and appropriated as a political emblem by the Ceausescu regime, Comaneci’s life was scrutinized wherever she went, her body seemingly no longer her own. Lafon’s ficitionalized account shows how an extraordinary athlete mesmerizes the world, her fate reverberating across nations. Francesca Borri was born in Italy in 1980. She holds a Master's in International Relations, a Master's in Human Rights, and a Bachelor's in Philosophy of Law. After a first experience in the Balkans, she worked in the Middle East as a human rights officer. She turned to journalism in February 2012 to cover the war in Syria. She is the author of books on Kosovo (2008), Israel and Palestine (2010), and Aleppo (2014). In 2017 she was shortlisted for the European Press Prize for her from the Maldives, the non-Arab country with the highest per capita number of foreign fighters. 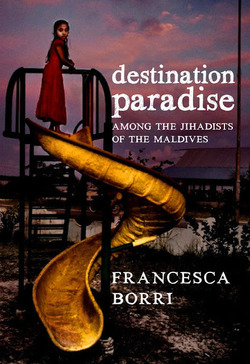 Destination Paradise, the book based on that reportage, was published in 2018.